NEEM - September 28. 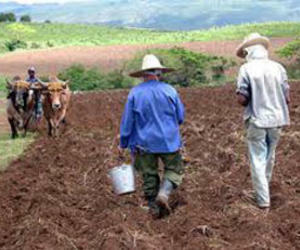 NEEM invites you to participate in a North Carolina Sustainable Agriculture, Delegation in Cuba, January 14 – 22, 2011. This delegation takes place in and around Havana with unprecedented access to Cuban agriculturalists and in-depth site visits to related facilities. The delegation will stay and base out of the Hotel Nacional. Delegates will see first hand large-scale Cuban infrastructure developed to support its 18 year old, world-renowned sustainable agricultural system in both the rural and urban sectors. Conventional U.S. agricultural professionals will be exposed to sustainable transition options, proven techniques and the potential for replication of them in North Carolina. The NEEM guided farm and agribusiness delegates will maintain a rigorous professional research itinerary gathering information for dissemination. In the early 1990s, Cuba’s agricultural system and food supply were decimated by the collapse of the Soviet Union which had supplied the majority of Cuba’s food imports, chemical fertilizers and pesticides, fuel for transportation, feed for farm animals, and almost 60% of Cuba’s food. Cubans refer to these years as the “Special Period.” Cuba also had to move from its historic Monoculture system to a diversified agricultural system in an effort to meet citizen’s dietary requirements. Due to the severe shortage of hard currency for the importation of chemical fertilizers and pesticides, Cuba was forced, in the early 1990s to adopt sustainable agriculture. Lack of chemical inputs demanded biological and natural alternatives on a nationwide scale. Cuba is organic by default but they have embraced and excelled at it. There are currently tens of thousands of sustainable urban gardens in Havana and over a million countrywide. In the late 1990s, the Cuban Association for Organic Agriculture was granted the International Right Livelihood Award (the Alternative Nobel Prize) for its efforts. For more information on Organic Cuba -- A Sustainable Urban Agricultural Model,see NEEM in Cuba. The success of urban agriculture is put down to the average Cuban citizen’s commitment to the ideal of local food production. There is so much for the world to learn from the Cuban experience, not least of which is that agriculture without fossil fuels is not only possible but also highly productive,sustainable and health promoting. Havana now grows 60% of its fresh food organically, and locally. Cuba hopes to be self-sufficient in the production of many of its basic foods within the next decade. NEEM Founder, Jeff Ensminger has traveled extensively in Cuba. He attended PABEXPO U.S./Cuba Agricultural Exhibition as Bahama Organics CEO, NEEM director and North Carolina delegate with the North Carolina Department of Agriculture in 2002. He led U.S. delegations to Cuba on sustainable agriculture from Santiago de Cuba to Pinar Del Rio and all points in between. He was awarded a certificate as an engineer in sustainable agriculture by MINAGRI and writing a cookbook on preparation of the sustainably produced foods of Cuba. He led the last trip before People to People exchange ended in 2003. Participants in that delegation were inspired, returned in 2004 and produced the famous documentary How Cuba Survived Peak Oil. NEEM is a long-term member of the Latin America Working Group, Washington Office on Latin Affairs, ECDET and frequently in Washington on issues related to Agriculture, Cuba, trade and farm bill. NEEM promotes the Cuban model of sustainable agriculture locally, nationally and internationally with programs through universities, cities and communities in three countries. These relationships are proliferating with interns, urban and rural farmers projects. Methodologies attained through the dialectic approach of mutual engagement. NEEM promotes sustainable development through community engagement, education and action using neem tree by products (Azadirachta indica) as a fulcrum and alternative to chemical inputs. NEEM works to unite communities through integrated, sustainable agriculture and food security projects that benefit the environment and improve the socioeconomic status of the people who live in NEEM project areas. NEEM projects are in Africa, the Navajo Nation and the United States. For Delegation Itinerary & Highlights, and to register, see NC Delegation in Cuba.